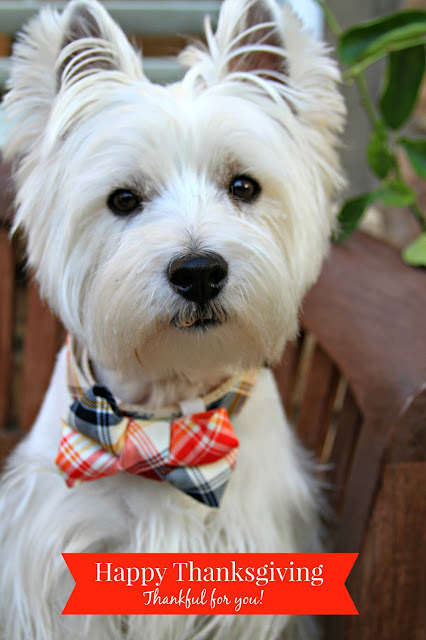 The White Dog Blog: Happy Thanksgiving! Happy Thanksgiving. We are thankful for you too! OMD..... you are looking really sharp in your Thanksgiving tie! Have a great day Duncan! Happy Thanksgiving to you and your peeps, Duncan! And I must say, you are looking super smart today.